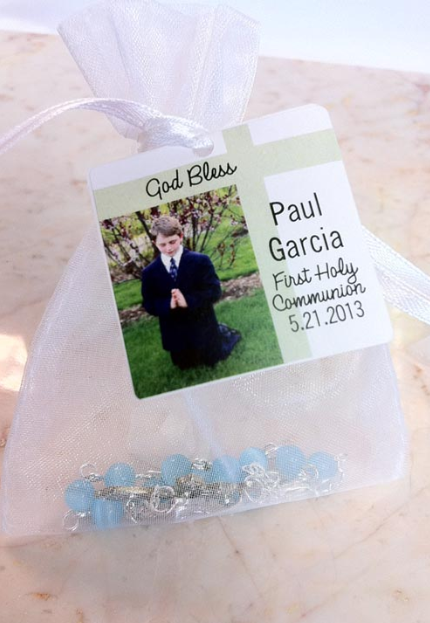 Looking for 1st Communion favors that are truly meaningful? 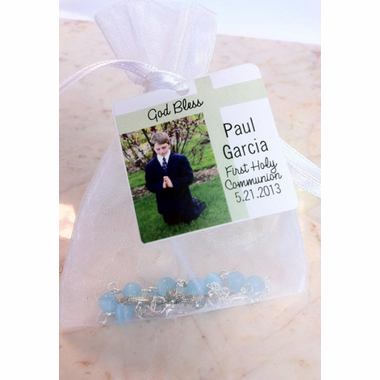 Give your guests this glass bead rosary favor and watch them smile. 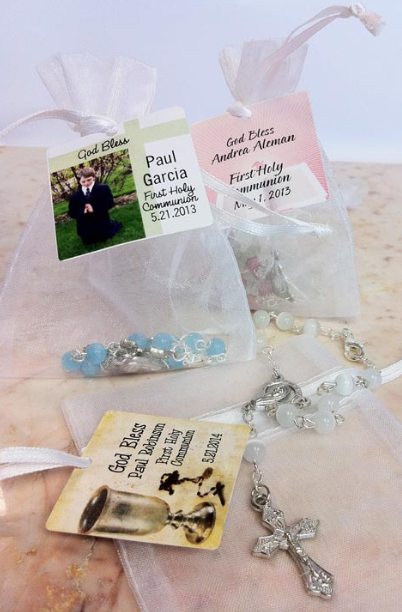 Fully assembled, each mini rosary is placed in a white organza bag with a tag attached to the tie string. 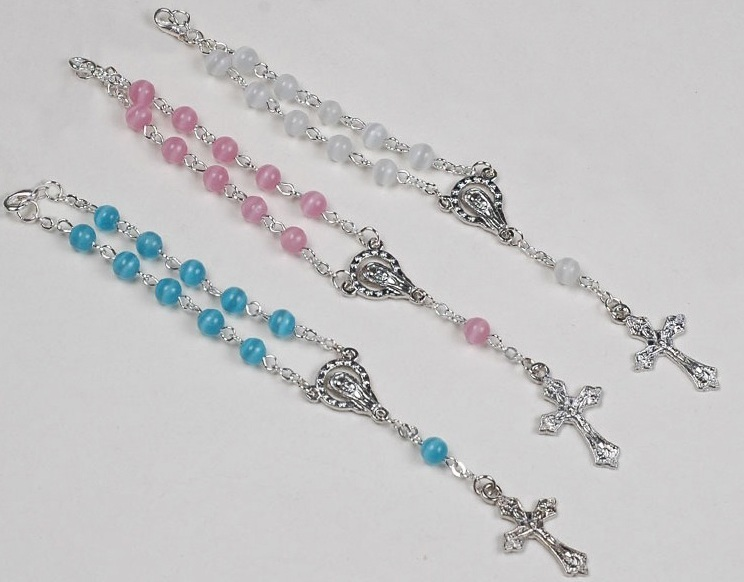 The mini rosary is complete with glass cat eye beads, a Crucifix, and silver-plated chain. 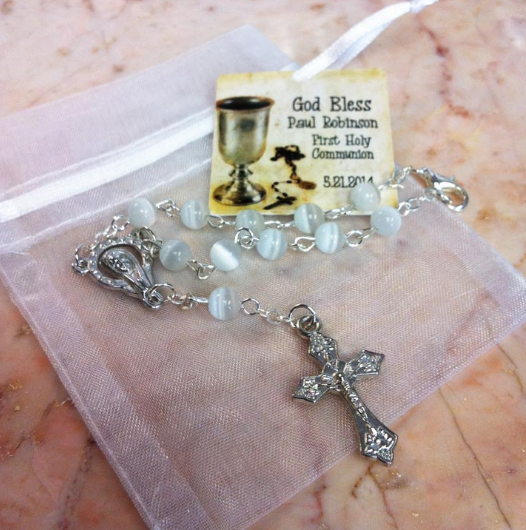 Measurements: Organza bag: 3" wide x 4" high, Rosary: 6", Tag: 1.5" x 1.5"
FOR OUR VALUED SPANISH CUSTOMERS: You can request your information on this item to be written in Spanish. 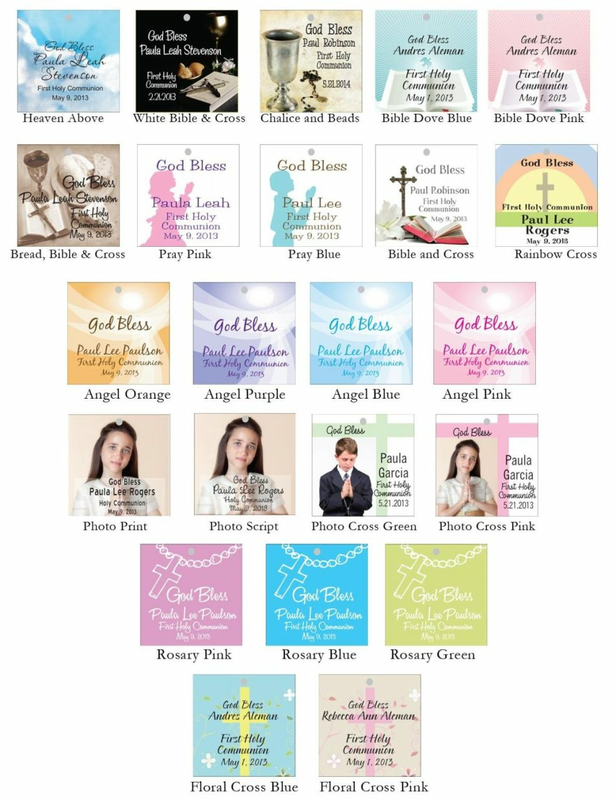 If you would like your information written in Spanish, please complete your order in our store and then email the Spanish text you want written for your personalization to us: info@cool-party-favors.com . We will create a proof for you and email it to you for approval. Please be aware we need you to respond to your proof email promptly so production of your order is not delayed.